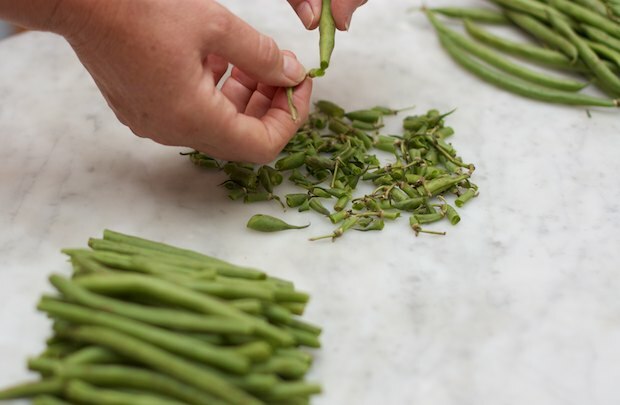 Green beans, though belonging to the legume family, have characteristics closer to the vegetables like possessing little protein. They are low in calories, but delicious. 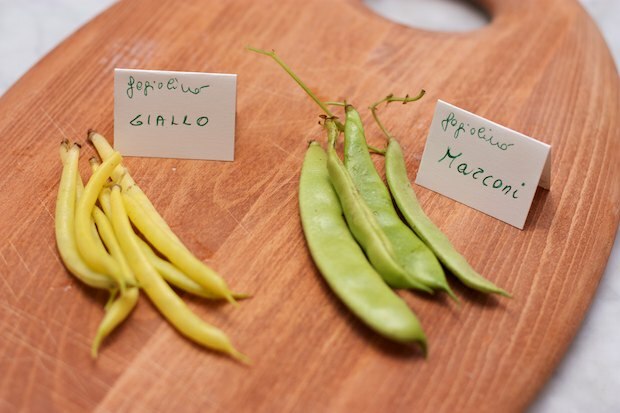 In Italy we cultivate various types of green beans with colors ranging from green to yellow to violet. They can be thin and straight, flat and wide, or even curved. In my architect friend’s wild garden in the backyard, there were 5 varieties last year which included “Marconi”, a variety dedicated to the great Italian scientist, inventor of wireless telegraphy, the forerunner of the phone. Beans are in the market from spring until November. The “Boston” variety arrives later. Beans are high in fiber and low in calories, suitable for diabetics and diets. The recipe that I recommend is suitable for holidays or when dinner is lightweight and vegetables need to be a bit more substantial. 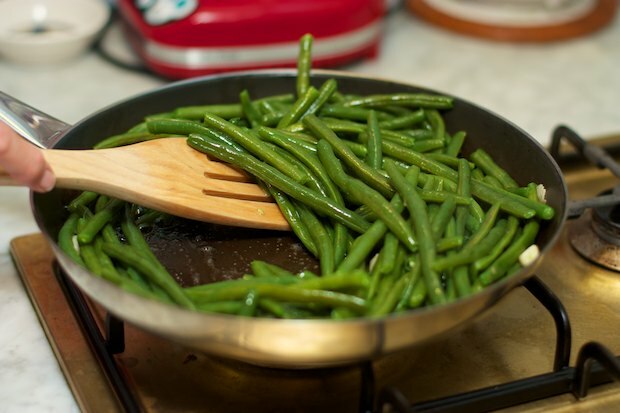 I propose it with fresh green beans, but canned or frozen are also suitable. Wash the beans thoroughly and remove the tips and stem. 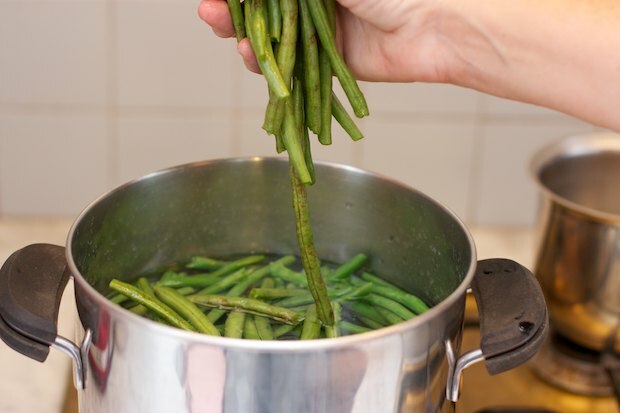 Boil a pot of water with a little salt and when the water boils add the beans. After 15-20 minutes, drain the water and set aside. Melt the butter in a pan with the garlic and sage. 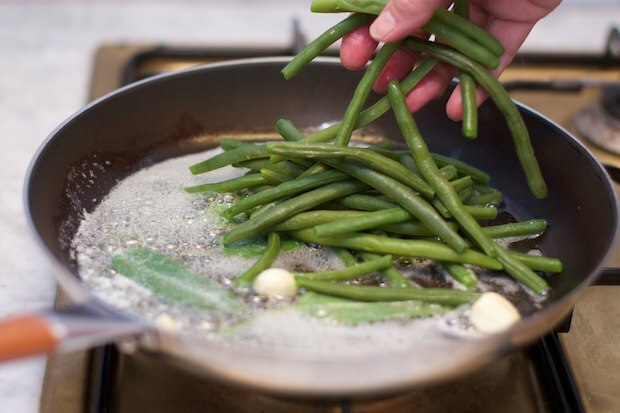 When the butter is nice and hot, add the beans over high heat and season them turning them with a wooden spoon or fork. Add salt and pepper to taste. Serve as a side dish with meat, fish, or eggs. 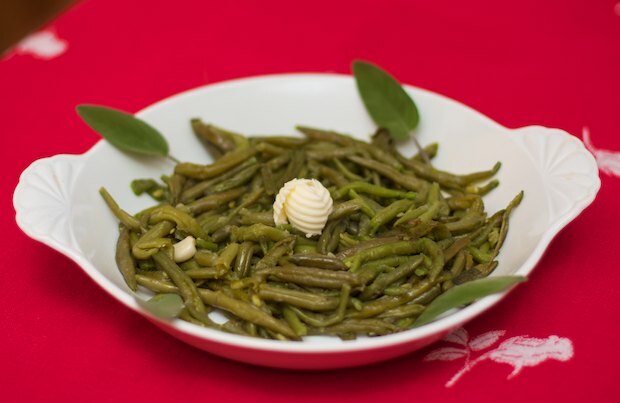 Posted in Vegetables and tagged with Fagiolini al Burro e Salvia, Green Beans with Butter and Sage, Thanksgiving. RSS 2.0 feed.